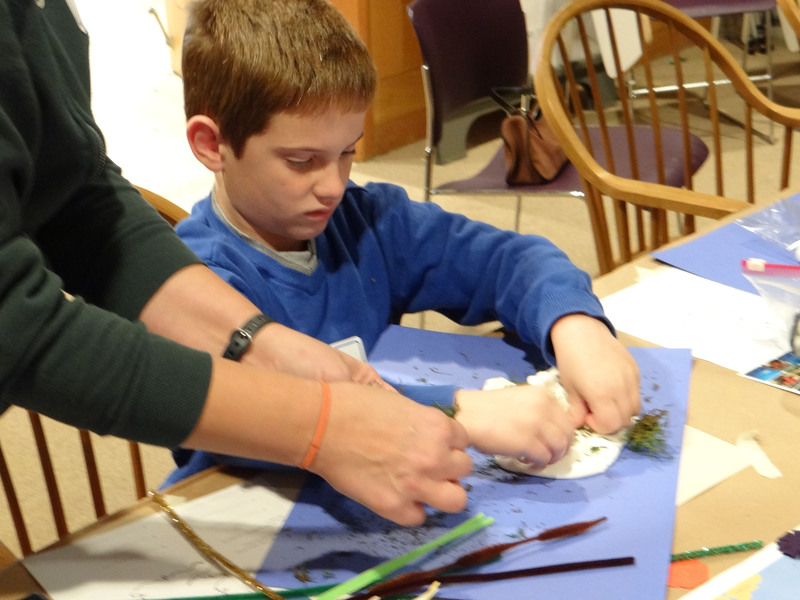 Our Exploring Artism class last weekend was a huge success! We welcomed several new participants to the program with an exciting look at the Island of Barbados. We began our session with a warm up activity that asked us to think about islands. What are some things that we see on an island? Do you know where the island of Barbados is? Can you find it on a map? 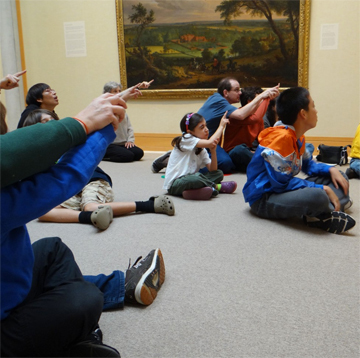 After looking at the island of Barbados on a piece of paper and from a picture, we walked to the galleries to view the island on canvas. Isaac Sailmaker, ca. 1633-1721. The Island of Barbados. 1694. Sitting in front of this large painting of Barbados, participants were asked to talk about what they see in the painting. What are the shapes, colors, and objects the artist used in his painting? Everyone used their pointer finger to follow the shoreline of the island: Next, everyone received a blue foam sheet, and a packet with smaller foam shapes. 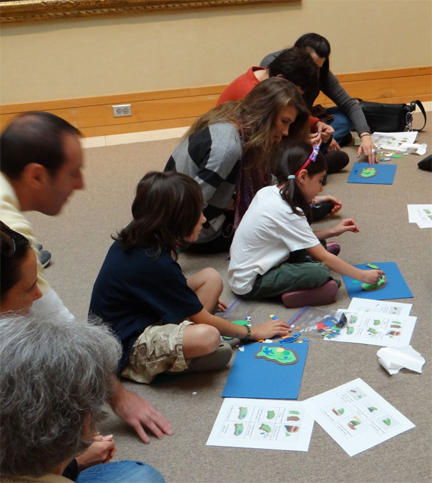 Using these handout sheets on How To Make an Island and How To Make a Sailboat, participants were able to create their own island using the Barbados painting as inspiration. If you would like to know how the Education Department made the paper sailboats, here are the directions. 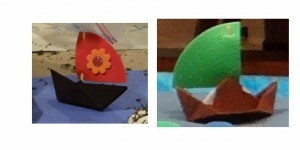 Boats made with folded paper, foam sails, and a toothpick. 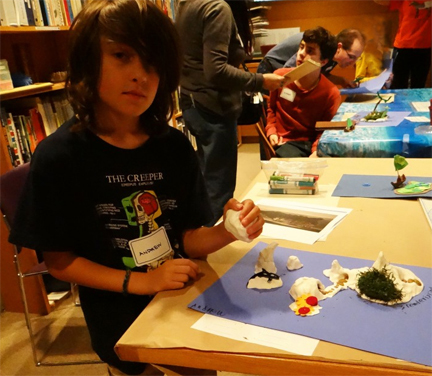 Once our foam compositions were complete, we discussed the artistic decisions we made when creating our own island. Everyone placed their island in front of the Barbados painting to see how our own works matched up to the painting by Isaac Sailmaker. 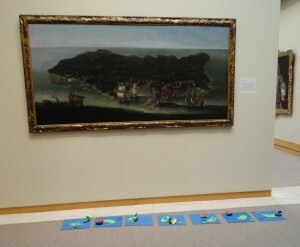 Our islands below the painting in the galleries. Since we knew exactly what it takes to make a great island, we moved out of the galleries to make a 3-D sculpture of our own island using Model Magic, moss, pipe cleaners, rocks, and small sea creatures. 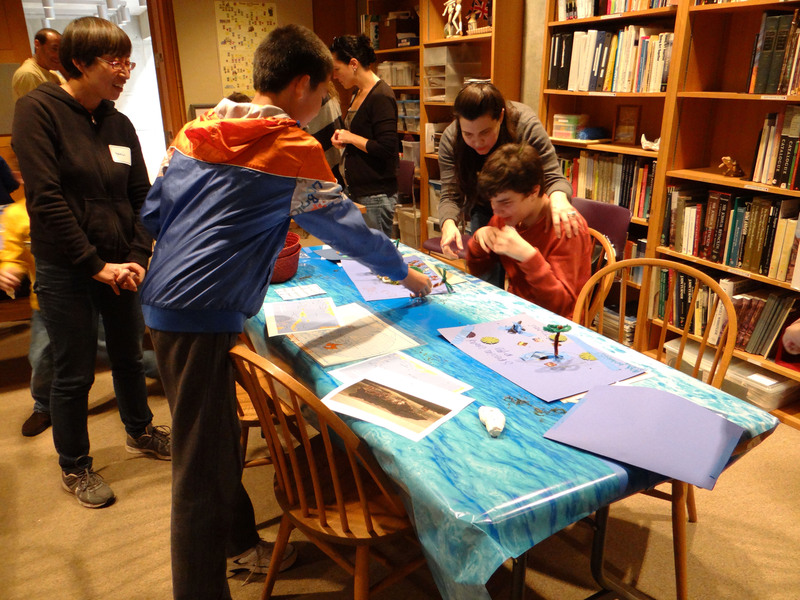 Everyone had the opportunity to share their finished island with the group.